Stunning imagery in the support of spiritual propaganda manipulates the Audience into becoming a part of the story. 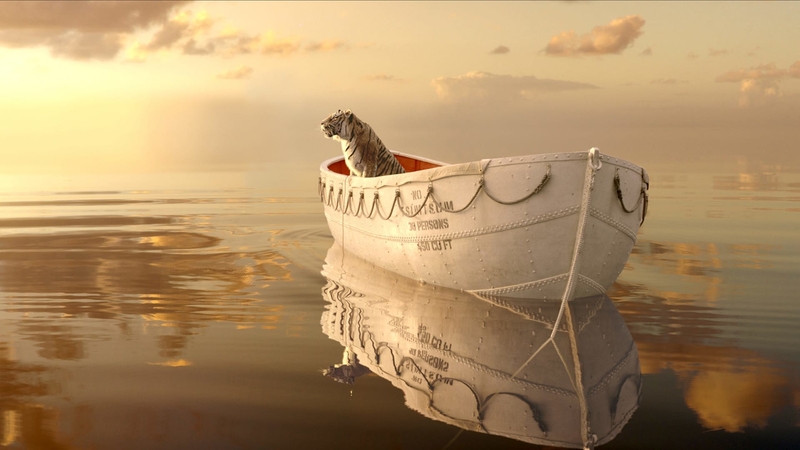 Propaganda at its finest—Life of Pi weaves a visually stunning tapestry as it subtly manipulates the Audience into accepting its spiritual point-of-view. At first glance it may seem obvious that Pi fulfills the Main Character role with his striped companion Richard Parker taking on the role of Influence Character. Upon closer examination though, this proves an incorrect assumption. Pi withholds key information from us—information that places us outside of his experience—not within as is required of a Main Character. As such, we the Audience take on the Main Character Throughline (occasionally shown on-screen by the empty-vessel reporter) while Pi and his story play the role of Influence Character. By leaving a Throughline out while simultaneously fleshing out the others, the Authors manipulate the Audience into changing their point-of-view. We ourselves fill in the blank areas left open by the lightly-sketched reporter, leaving us no other choice than to change and accept Pi’s point-of-view on spirituality. We complete the storyform hinted at within the film, taking the Story Mind created on-screen and assume it as our own. It may appear that Pi leaves us the option to choose which story to tell…but really, he has manipulated us into accepting only one. By thinking ourselves in control of that final decision, we complete the process of propaganda. Often seen as a negative force, propaganda carries no inherent morality to it. This change forced by Pi’s story could be seen as good or bad depending on your attitude towards God and spirituality (although, truthfully the story’s dynamics force it to be seen as a good thing). The trouble with propaganda lies in our awareness of when it is being used and our lack of self-awareness when we make decisions and take actions because of it. Understanding the psychology of story helps us to better appreciate what is really going on. In that case, it becomes less important which story we tell and more important that we see which story is being told.